A 2007 study found that more than one-third of the District’s residents are functionally illiterate, and a large portion of District residents are among the most vulnerable to recession, holding retail and consumer service-type jobs that suffer most. You often hear DC residents talk about how “no one is actually from DC.” While this does speak to the undeniably transient nature of the city—you can run into people from everywhere in DC—such a statement would only ever be made by those well-to-do professionals who themselves came to DC from somewhere else. It’s easy to forget, when inside the Capitol Hill-K Street-NW professional bubble, that there is a large population of DC residents who in fact were born and raised in DC. It’s even easier to forget (or maybe ignore is the better word?) that too many of those residents haven’t had even close to the same advantages as the highly-educated and well-to-do professionals who migrate to the city. 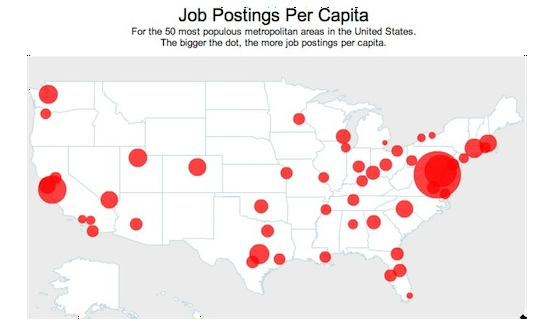 UPDATE: The Atlantic confirms: DC is the place to be for jobs.